Golf Australia has confirmed the 2013 ISPS Handa Women’s Australian Open course at Royal Canberra Golf Club. The 2013 Championship course, Par 73 – 6108m layout will provide an excellent test for the world’s best players. “This course set up for the women is slightly longer than those courses used over recent years on the Sandbelt and approximately 200 metres longer than the annual Ladies Classic,” said Tournament Director Trevor Herden. 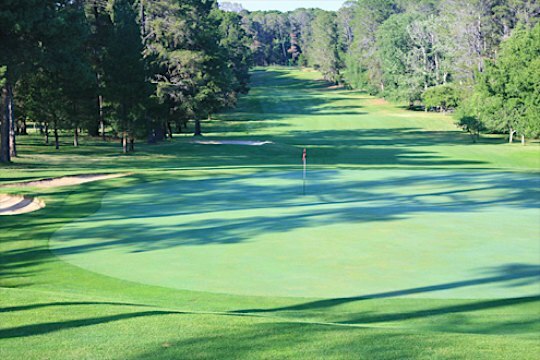 “The undulating fairways will benefit the players in most cases, Royal Canberra has a number of reasonably small greens, many of which are protected by bunkers, forcing players to be very precise with club selection” Herden said. Royal Canberra has hosted a number of men’s and women’s professional events, the support offered by the club, its members and others in the region indicates that this event may be the pinnacle of all professional events played at this golf club on this historical course. The event will launch the LPGA’s 2013 Global Tour. It will also create history as it forms a key part of the ACT 100 celebrations. The LPGA created history this year when it partnered Golf Australia and the Women’s Australian Open for the first time. One hundred of the world’s best players who compete on the LPGA’s global stage will play Royal Canberra next February, showcasing the game at the highest possible level and competing for Australia’s major championship title.